Sometimes I don't want bread. So I was walking around the grocery store thinking "What were my favorite things to make in college?" 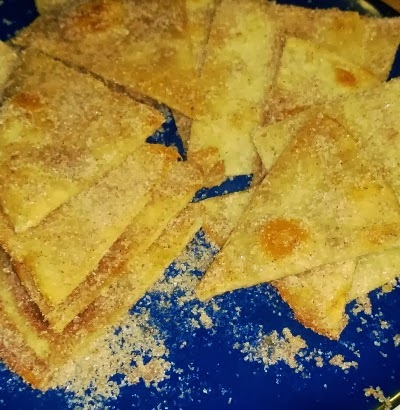 Quesadillas! Because they were cheap and easy to make. And they were different from having Ramen noodles everyday. Tortillas are great to have around. You can make so many easy meals. 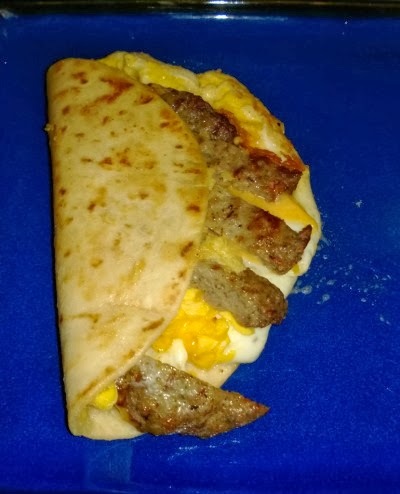 My hubby and I used cheddar cheese, sausage, and eggs. 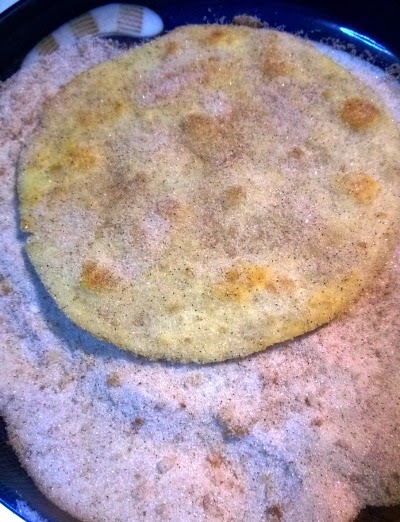 Butter on the bottom of the pan makes the tortilla nice and crispy. You can also throw on some hot sauce at the end. Saving money is always important for us. Tortillas are inexpensive and versatile. You can use them for breakfast, lunch, or dinner. Even dessert! Put some butter in your pan, hot but not too hot. Don't want to burn the butter. Fry your tortillas one at a time. Getting both sides light and crispy. When they are done put some sugar on it. We used cinnamon in our sugar mixture too. It gives it that churro flavor. Then cut up the tortillas into tiny wedges. Remember to wipe off excess sugar mixture...or don't. I just have to remind myself less sugar next time. If this idea is lacking chocolate for you...well why not add some chocolate spread with peanut butter or bananas. Make a dessert quesadilla. Do you get tired of bread? What do you use as an alternative?